Street food. Air-conditioning. Easy access. Gotta check this out. Located at the foot of the escalator from Robinsons, adjacent to the spanking new Four Seasons Hotel in Jalan Ampang, Malaysia Boleh! is a collection of selected hawker stalls from Penang and Perak to Selangor and Malacca. Best of all, there are no foreign workers preparing the food. The food court is bright and breezy, with marble-top tables and bird cages hanging from the ceiling. The interior is designed to look like old shophouses, complete with louvred windows on the upper floor. But the main lure is the food, served in unpretentious chinaware reminiscent of old Malaya in design. Malaysia Boleh! 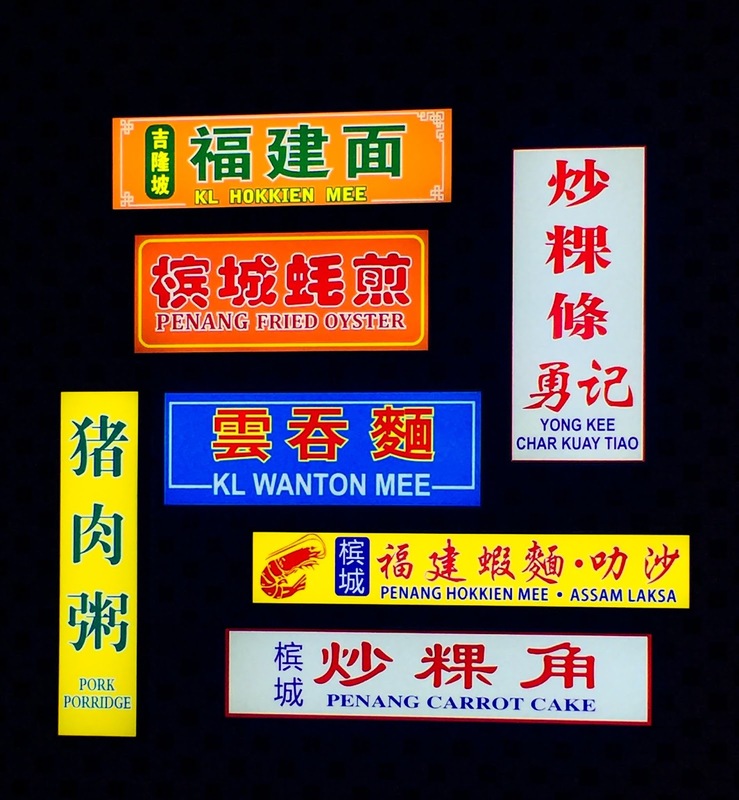 offers a good representation of the country’s favourites, especially non-halal street food. There’s Cendol, Asam Laksa, Oh Chien or Oyster Omelette and Prawn Mee (Penang), black-as-night Hokkien Fried Noodles and Wantan Noodles (KL), Bak Kut Teh (Klang), Pork Kway Teow and Bean Sprout & Chicken Rice (Ipoh) and Nasi Lemak (Pudu, KL). Another drawing point is the price. You can get a substantial meal for under RM10. Chicken Rice, for instance, is RM8 and Char Kway Teow is from RM9 while Nasi Lemak is RM3.50 with extra toppings of fried chicken wing, thigh and drumstick (from RM4). I find the Carrot Cake (I don’t know why it’s called this as the fried cake contains radish, not carrot) satisfying at RM8. I don’t think this Penang specialty, fried with egg, beansprout and preserved radish, is available in any other mall food court here. The Pudu Barbecue’s Roasted Duck and Char Xiu get my thumbs up too, especially the belly pork char xiu with a good balance of lean and fat meat, resulting in a moist, juicy cut. If you’re feeling ravenous, go for Klang Bak Kut Teh (RM13), served in a claypot and comes with a big bowl of rice. Claypot Chicken Rice is equally great for big hungries. Prefer noodles? There are Pork Soup Noodles (RM9), Chilly Pan Mee (RM10) and Soup Pan Mee (RM9), Chicken Curry Noodles (RM9), Hokkien Noodles (from RM12), Prawn Mee (RM10), Asam Laksa (RM10) and Wantan Noodles (RM9). For dessert, there are various kinds of nyonya kuih, custard buns and Penang Cendol (RM3). For breakfast or a light lunch, there’s Toast & Egg Set (RM7) comprising soft-boiled eggs, toast and coffee as well as bao, lor mai gai, chee cheong fun and vegetable dumplings from the Traditional Handmade Pau stall.